Catalog Main :: Premium 1/2" Flooring :: 5" wide Premium Cedar Flooring 1/2" thick, 20 sq. ft.
Made of natural aromatic red cedar wood. Kiln dried and sanded to a smooth finish. Never needs to be stained, sealed or painted. 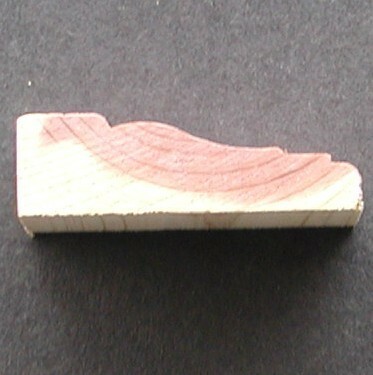 Wood is naturally red-colored and unsealed. Aromatic red cedar wood is known for naturally repelling insects and masking musty odors. 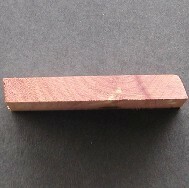 Planks are available in 3" width or 5" width. Planks are 1/2" thick. Cedar closet lining panels install easily with tongue and groove system and kits include assorted lengths. Kits are available to cover a 20 square foot, or 100 sq. foot. area. Pieces range in size to equal square footage. 100 square foot kits comes packaged on a wooden pallet. Made from environmentally friendly materials. Made in the USA. Cedar provides a pleasing aroma that naturally repels insects and musty odors, making it perfect for using in a closet. Notify me of updates to 5" wide Premium Cedar Flooring 1/2" thick, 20 sq. ft.